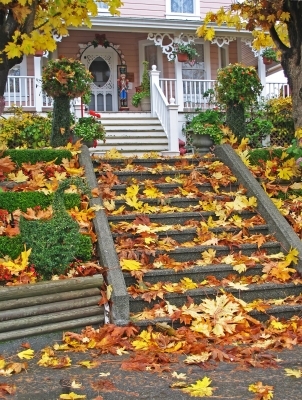 5 Ways to Winterize Your Home | Brennan Heating and Air Conditioning. Comfort You Can Count On. Fall is here in full force, and temperatures in the Seattle metro area have already started dipping into the 40s overnight. As you’re all too aware, with increased usage of your home heating system comes increased energy bills. The good news is replacing a 10-year-old furnace with a new high-efficiency furnace can save you up to 50% in operating costs, and the new furnace could last you 15 to 20 years! Keep heat from escaping through drafty doors and windows by either rolling up a bath towel across the bottom or creating a custom-made “draft snake” for the same purpose. The Daily Green has some great tips for making attractive draft snakes that add a touch of charm while blocking energy-sapping drafts. During heating season, you should clean or change your furnace filter at least once a month to maximize the efficiency of your heating system, according to the Daily Green. An even better idea could be to have a permanent filter installed rather than a fiberglass filter and ensure you clean it regularly. Since heat rises, running your ceiling fan in reverse can create downward airflow that channels that warm air toward you and keeps your home feeling warmer. This circulated air also allows your home to heat itself more evenly, so that your home heating system doesn’t have to work as hard. This small step can cut your heating costs as much as 10%, the Daily Green noted. Just like your car needs a tune up to run at its best, your heating system needs routine checkups and maintenance to run as efficiently as possible. Having a heating technician inspect and tune up your unit can help shave 5% off your heating costs, the Daily Green explained. Last but not least, using a window insulation kit to seal up your windows entirely is a good means of keeping the hot in and cool out. An even better option is to have a set of energy-efficient windows installed that will help you realize an even greater amount of savings over time. This entry was posted in Get Ready for Winter Today!, Uncategorized. Bookmark the permalink.